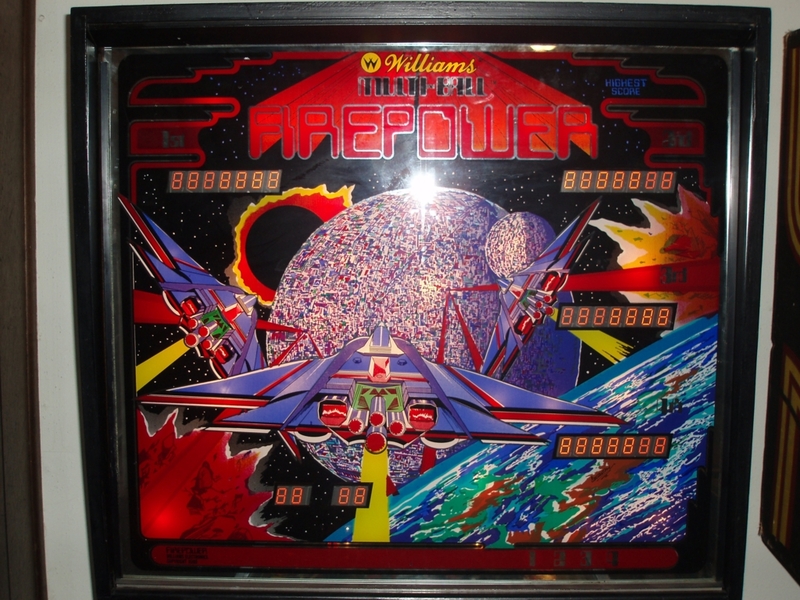 Firepower is a great (or maybe the greatest) system 6 Williams game. checking: common switches (like creditbutton, coins) and a lot more. Two system 6 games (Alien Poker and Algar) uses the 7 digit display board from system 7. 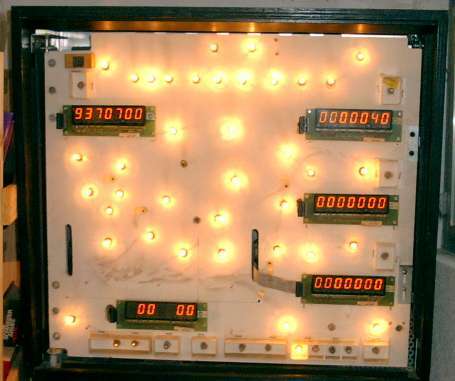 The strobe lines are responsible for matching the correct digit position on the displays. First, the display update routine starts at strobe line 1. Every player score is decoded to bcd (binary code decimal: a 1 is coded as 0001, a 2 is coded as 0010). The MPU takes the relevant bcd information for strobe line 1 and sends these combinded bcd-informations through the pia 1 (the 6821 chip on the mpu board). 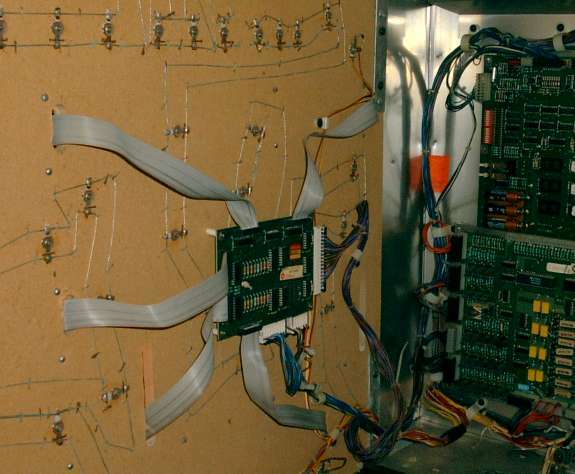 Then the combinded bcd-informations for the next strobe line is built and send. This process repeats for the 16 strobes lines. Then the process start over and over. 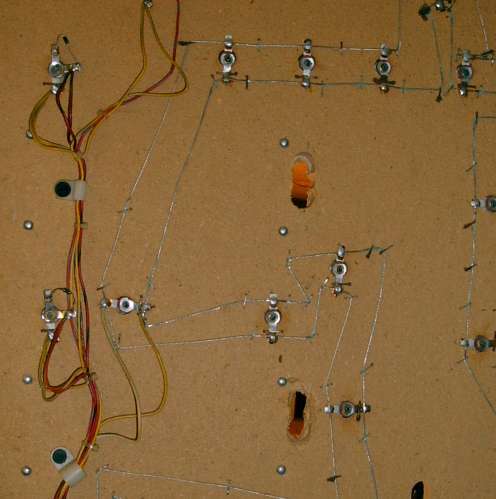 The 7 digit board supports commas and uses two additional strobe lines. 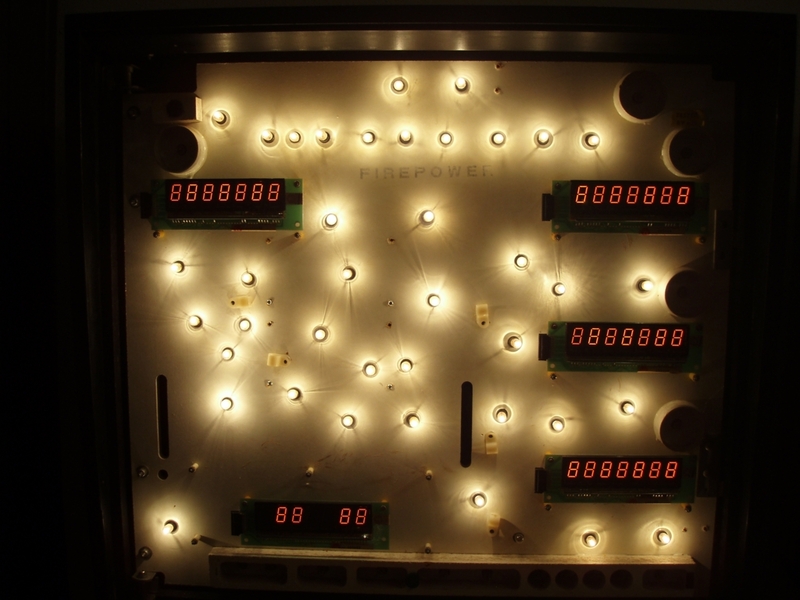 The display strobe lines are arranged in an other way than on the 6 digit display boards. The bcd lines are the same. 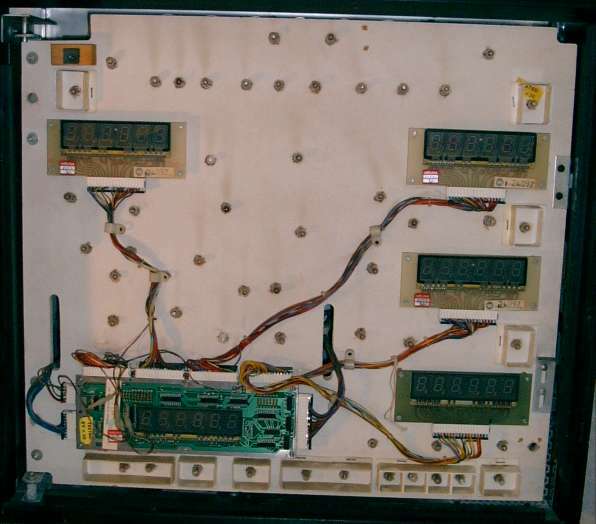 So, how can alien poker and algar use the 7 digit display board with the green flipper roms ? Well, Willimas coded for these two games a little bit around the green flipper roms. 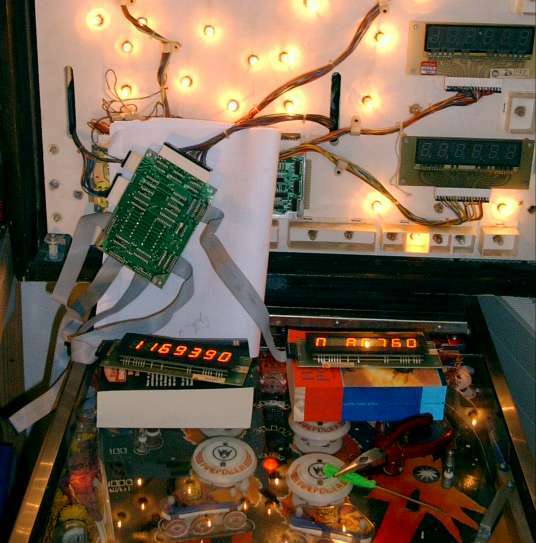 The player score is still stored with 6 digits internally, but every player score is dived by 10 and during the update from the display board (which is programed in the game rom), one fake 0 is added at the rightmost position.The match routine from the green flipper rom is also altered. Well, I did these modifications to the firepower roms. The modifcation should run with a system 6 board. 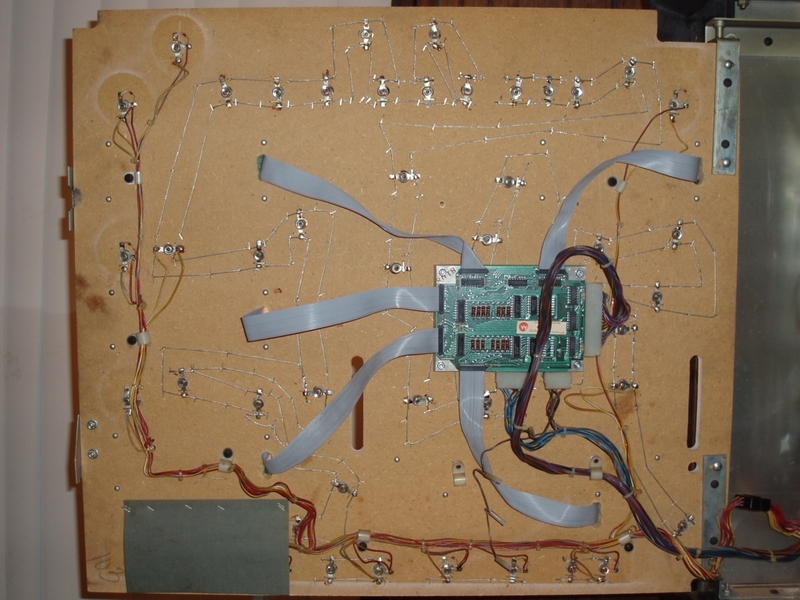 I had one system 7 board lying around, so I did a complete MPU board swap. First remove the 6 digit master and the four slave boards. Install jumpers J2 and J4 on the master display board. (display works without commas). Now install the four 7 digit player displays. 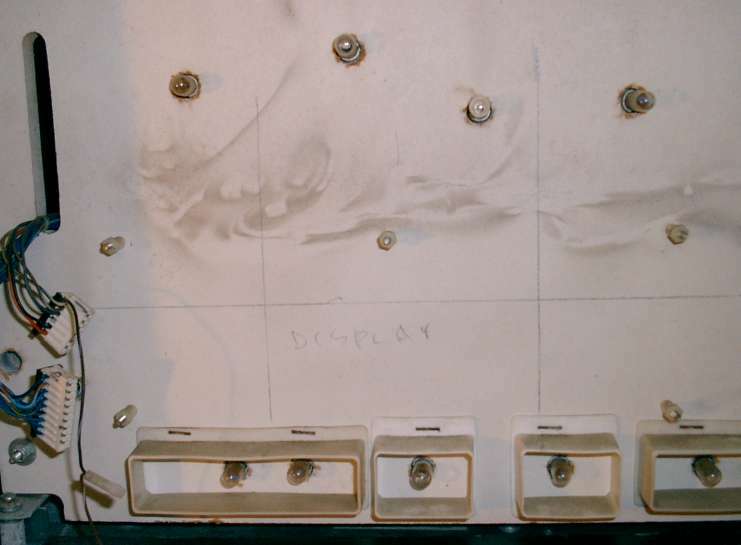 The upper left and right screws from the 7 digit slave display boards matches perfectly the existing screwholes. 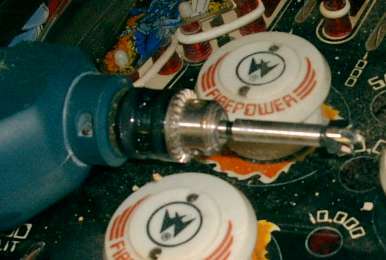 For the other two screws new holes must be drilled. 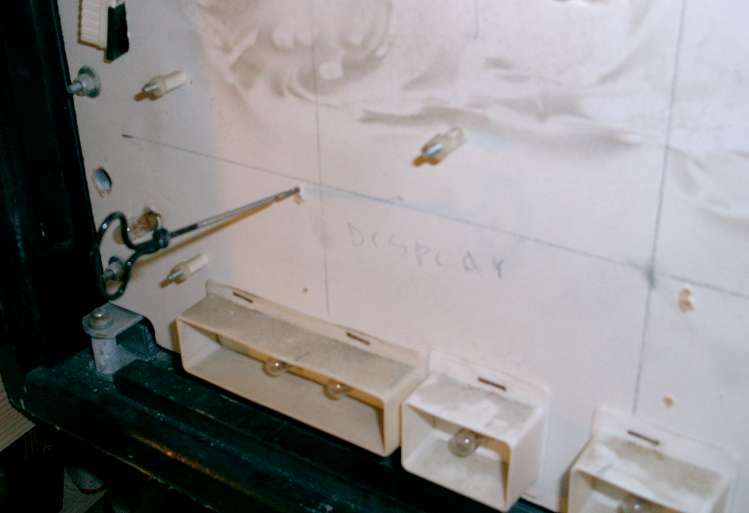 For the cable holes I used a "forstner"-driller. 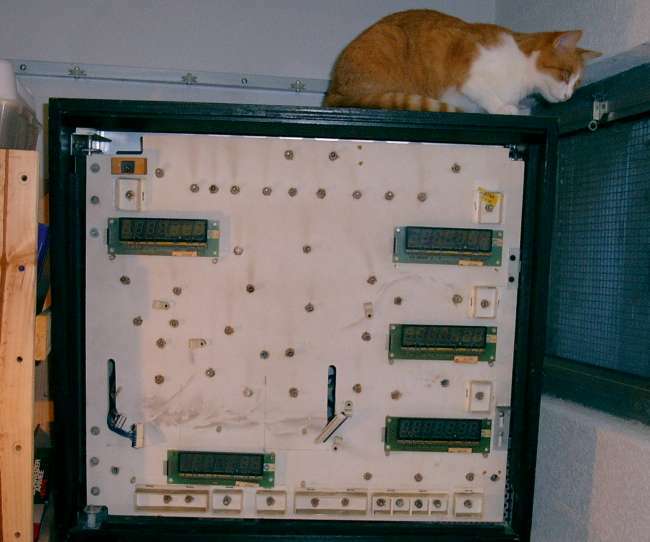 Mount the 7 display master board on the backside. 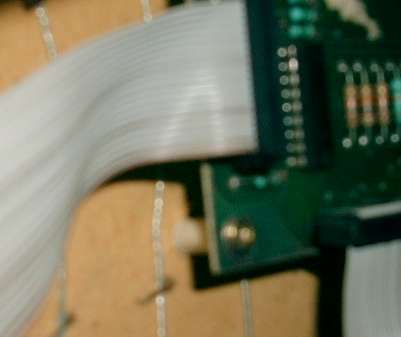 Make sure that the screws from the display master board don't touch a wire !. The System7 CPU board should be set for any game other than Hyperball/Defender. After power on, you should see the version number in the player two display.